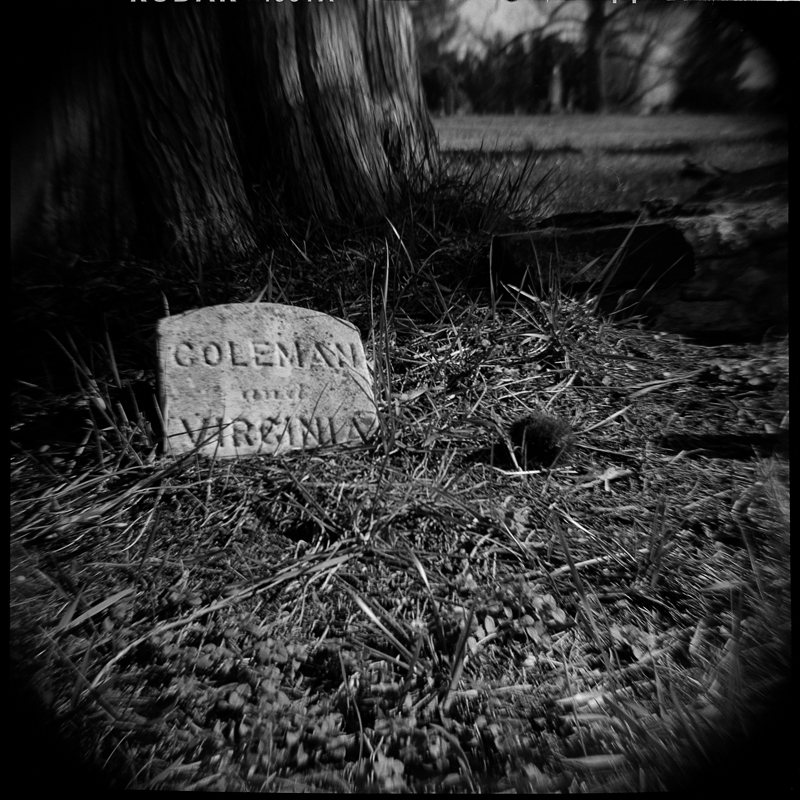 Lomography Society Diana F+ Kodak Tri-X Professional Arista 76 1:1 - Coleman and Virginia, there may be more detail buried beneath the surface, but this is all time has left visible. A loving couple? A Son and Daughter? We cannot tell. I could shoot for week in the Old City Cemetery and always find something new. There are some many layers, textures and new angles to explore. Scanned with an Epson Perfection V500 Photo using Epson's OEM Software.